Alumni Day 2017 featured a luncheon with a modest turnout of classmates, McGlynn, Santy, Seabring, and Southwell, along with Lucia Santy and Ellen Seabring. Present as our guests were this year's two astonishingly accomplished Sachs Scholars, Shannon Osaka (left) and Becca Kerner. 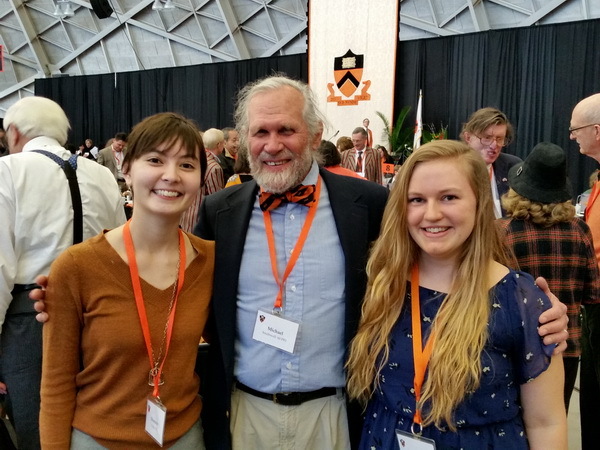 The program featured others (seniors, graduate students, and alumni) with similar accomplishments, and produced feelings among us of awe and gratitude at being associated with a University like Princeton.